Reserve our common area by the hour or half day to enjoy access to our open concept creation space. Join as a member to reserve free hours each month. If this is your first time, please email Rebecca at rspstudio@gmail.com to discuss your proposed area use. 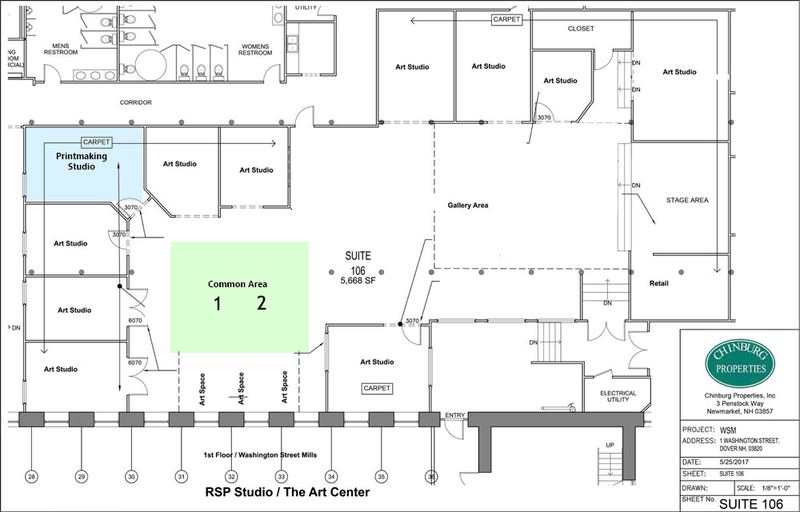 If you are planning on using the common space for music or performance related activities or if you would like to reserve outside of normal studio hours, contact Rebecca at rspstudio@gmail.com to see if it can be accommodated. Appropriate behavior and respect for surrounding artists is expected. Alcohol is not permitted. 24 hour cancellation notice is required. This space is intended for creative use and reserved for adults only.